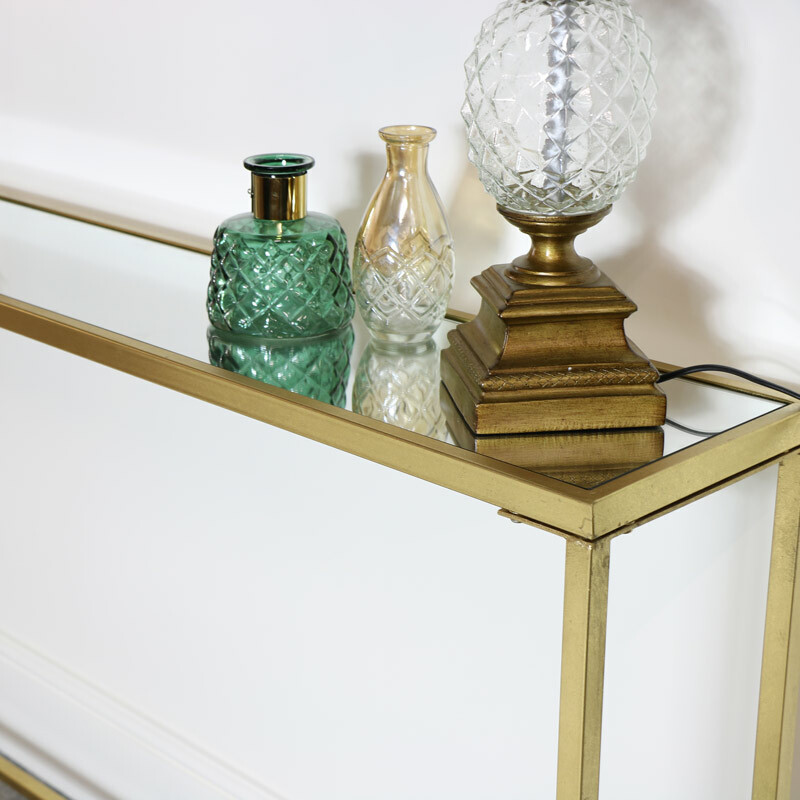 If you're a fan of the luxe look, you will love this console table. Luxury and style for the contemporary interior, features a sturdy gold metal frame with a mirrored display surface. 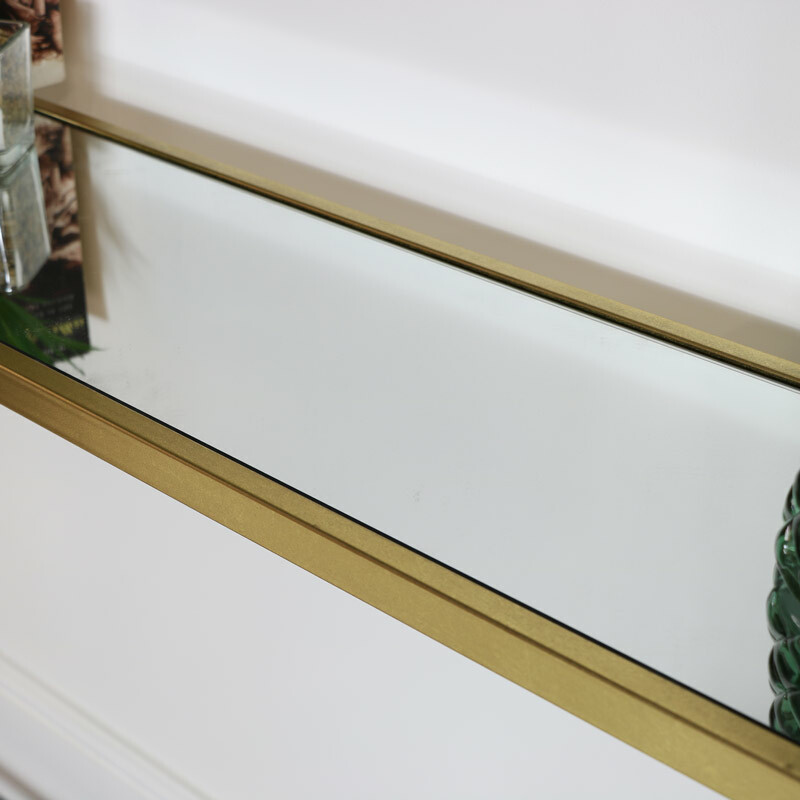 Perfect for positioning in the hallway with it's long, slim proportions making it the ideal space save and a fantastic way to display ornaments, photographs or flower arrangments. 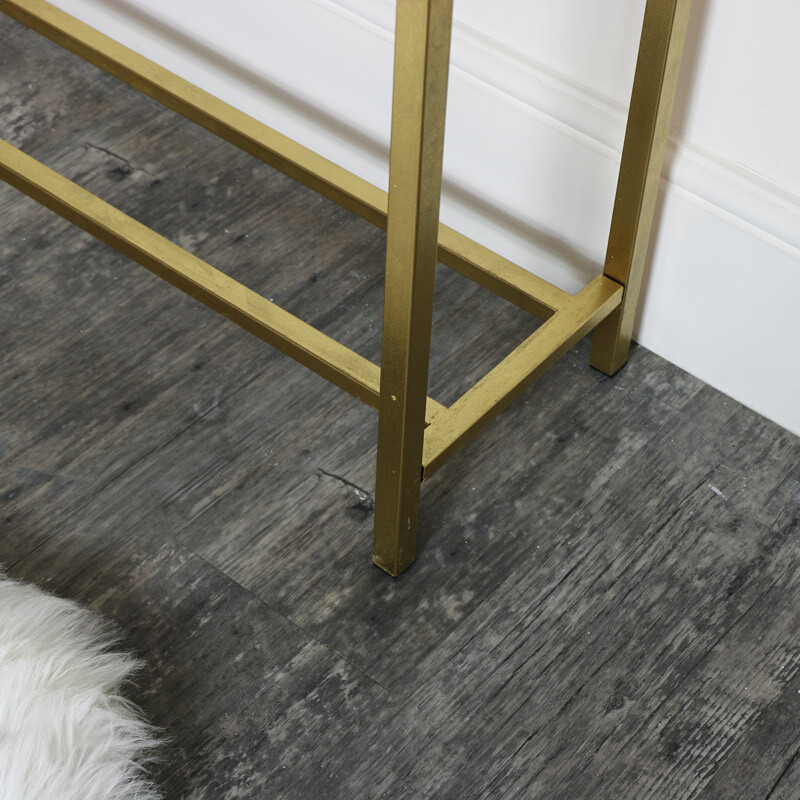 This table will also look perfectly at home in the living room for that stylish and vintage look. 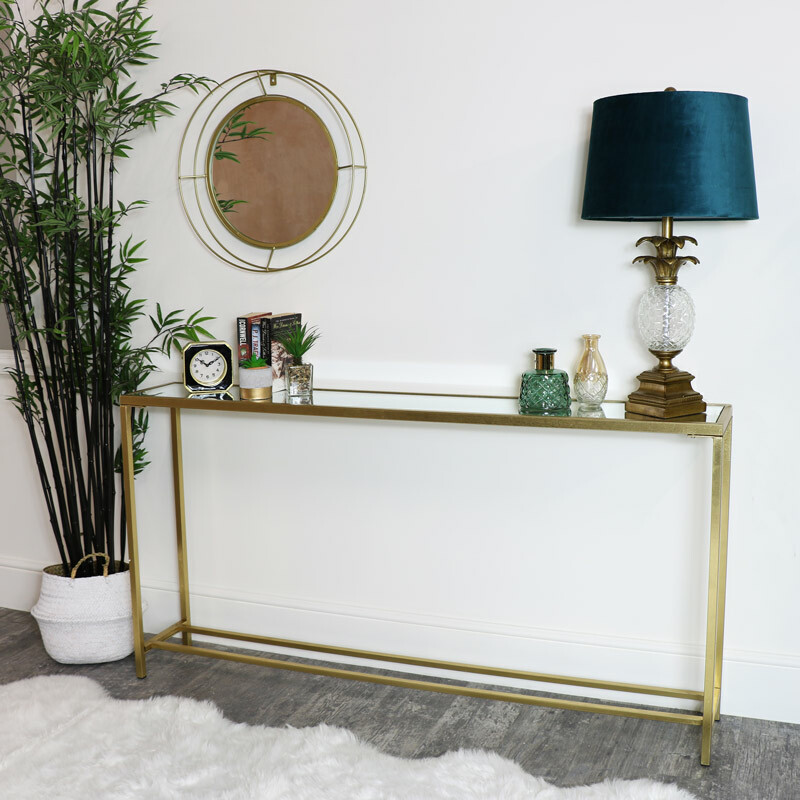 If you're a fan of the luxe look, you will love this console table. Luxury and style for the contemporary interior, features a sturdy gold metal frame with a mirrored display surface. Perfect for positioning in the hallway with it's long, slim proportions making it the ideal space save and a fantastic way to display ornaments, photographs or flower arrangments. This table will also look perfectly at home in the living room for that stylish and vintage look. 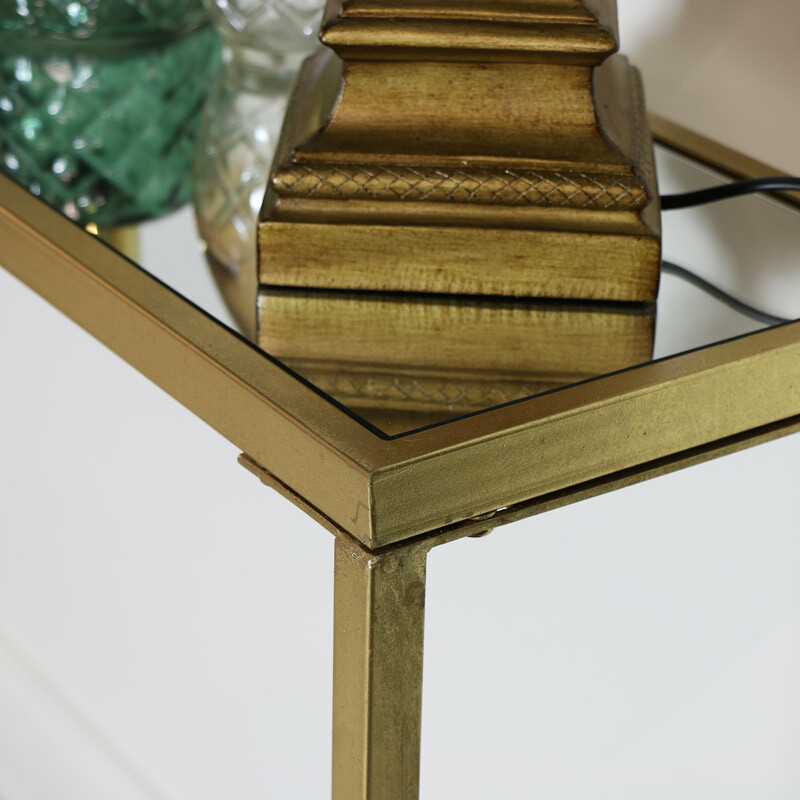 Constructed with a mirror tabletop in a gold metal framework. Finished in a metallic gold leaf paintwork with an antiqued gold effect. The table comes fully assembled.